3M packaging products are as diverse as the people and businesses who use them. You might be a small Mom-and-Pop start up or even a Fortune 500 company with a 100-year history. No matter what you are packaging or shipping your name means a great deal. Why risk it with substandard or untried products? 3M tapes and dispensers or hang tabs not only help hold your product together but also your reputation. 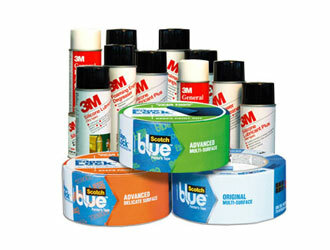 Check out some of our 3M products below.